Bring your best and compete with the rest to see who makes it to the finish line first! The 65 Foot Mega Obstacle Course is a two lane thrill. You will race through the long obstacle section through tunnels, chutes, log obstacles, over a slide towards the popups over to the foot climbing wall and down the mega slide. 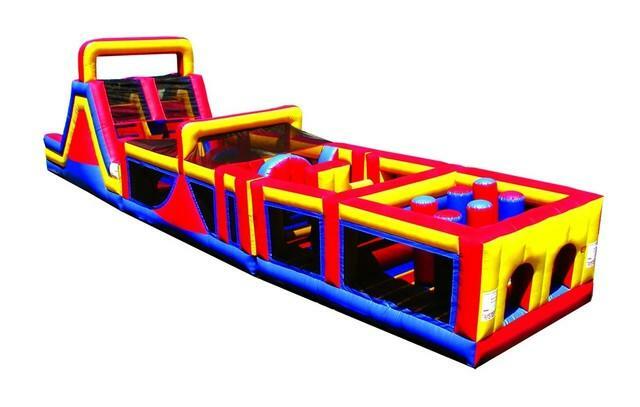 This inflatable Obstacle Course is fun and challenging for all.